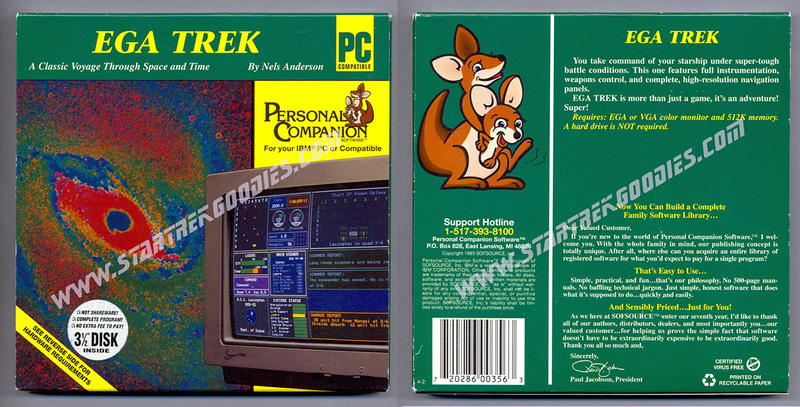 PLEASE READ: Most of this Vintage Computer Software Will NOT Run on Contemporary Computers! 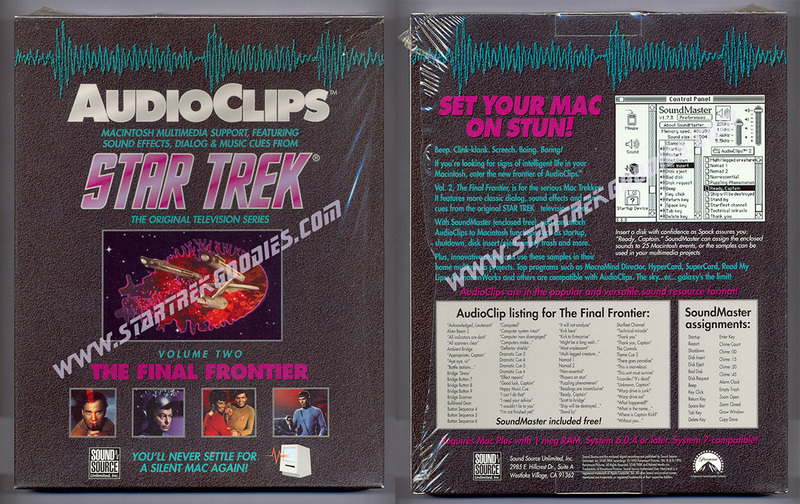 They are Being Sold as COLLECTIBLES ONLY. 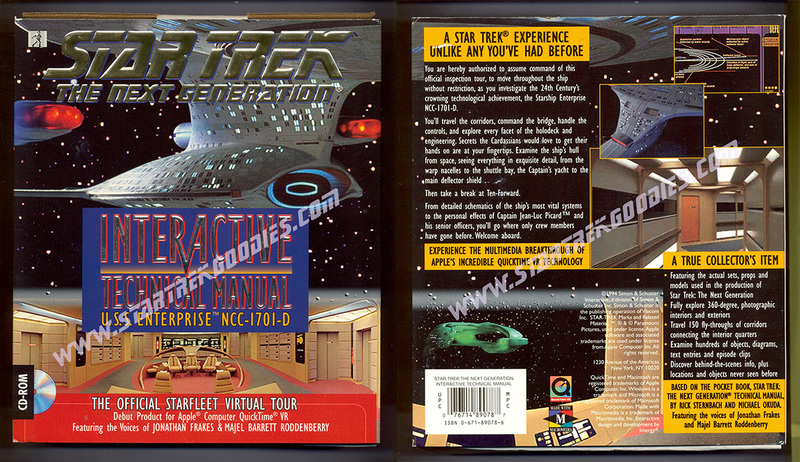 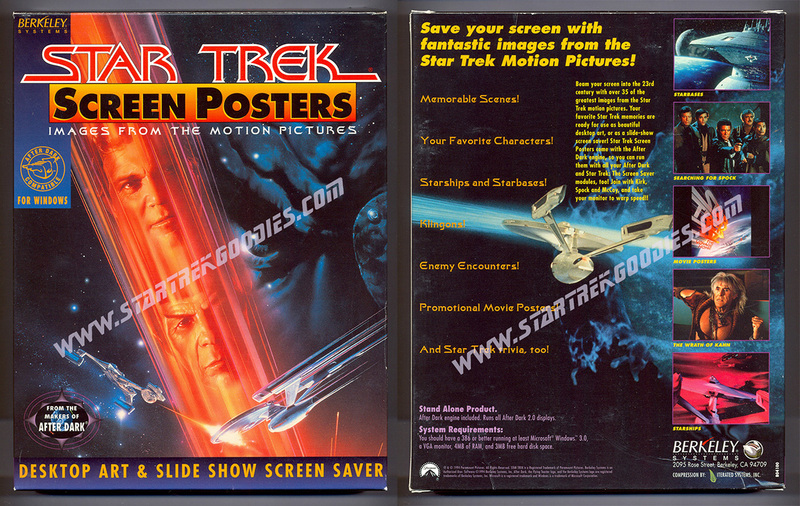 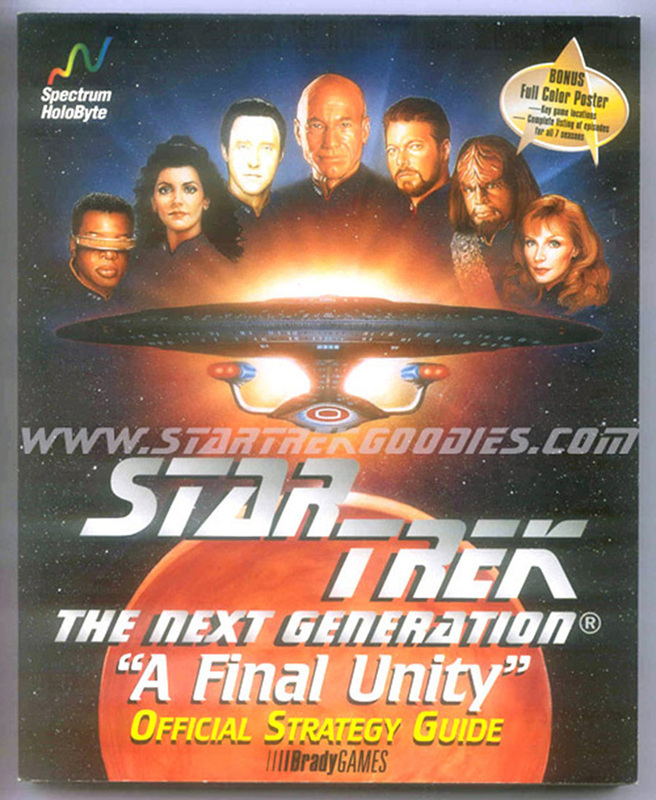 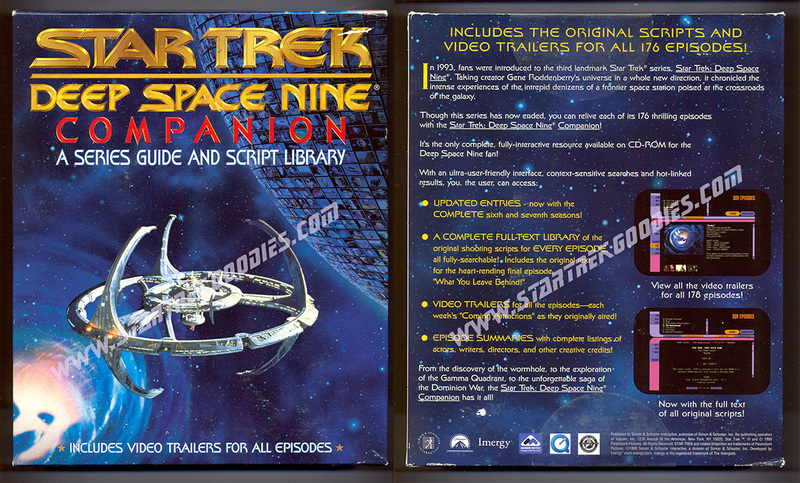 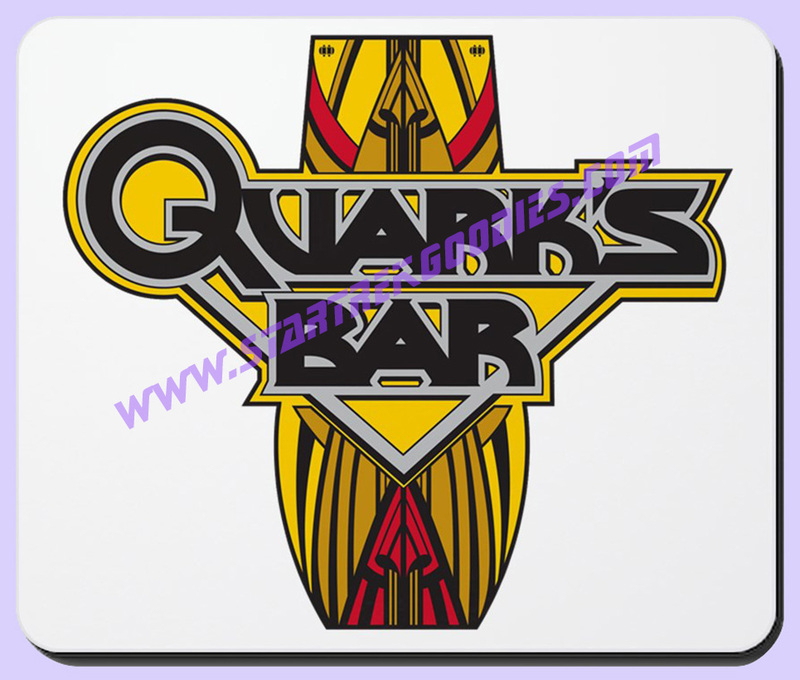 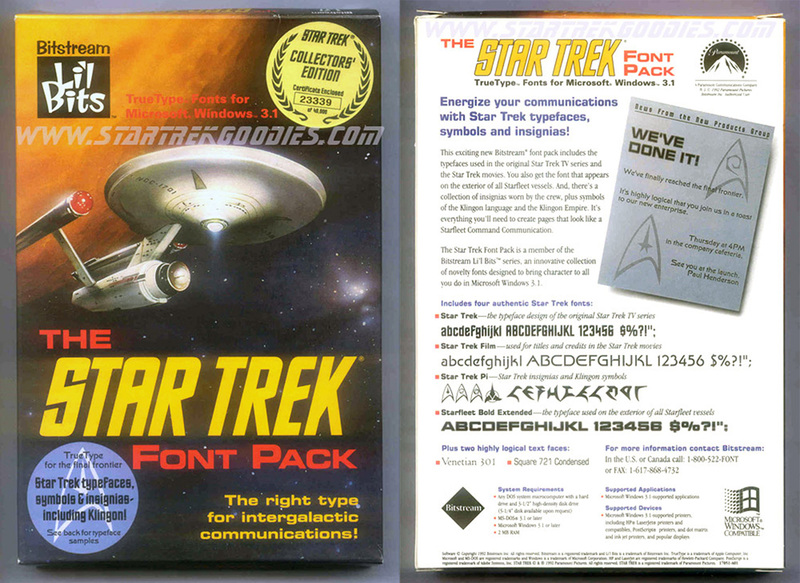 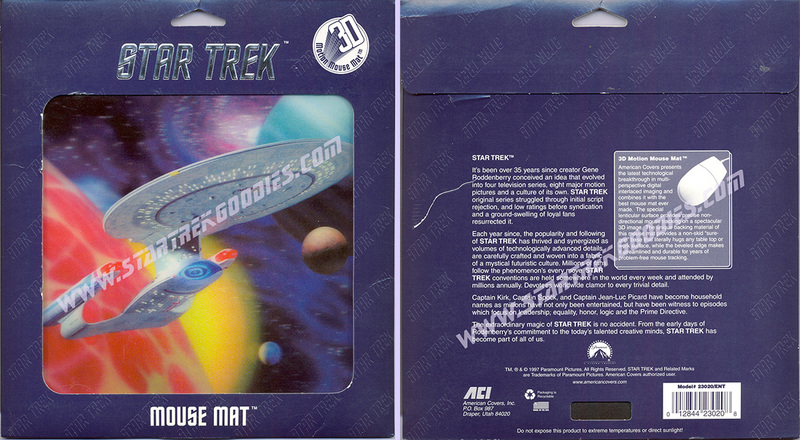 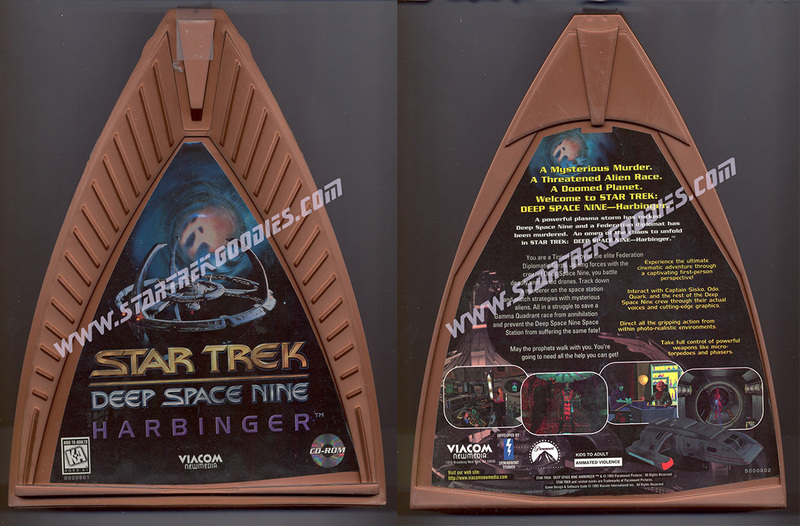 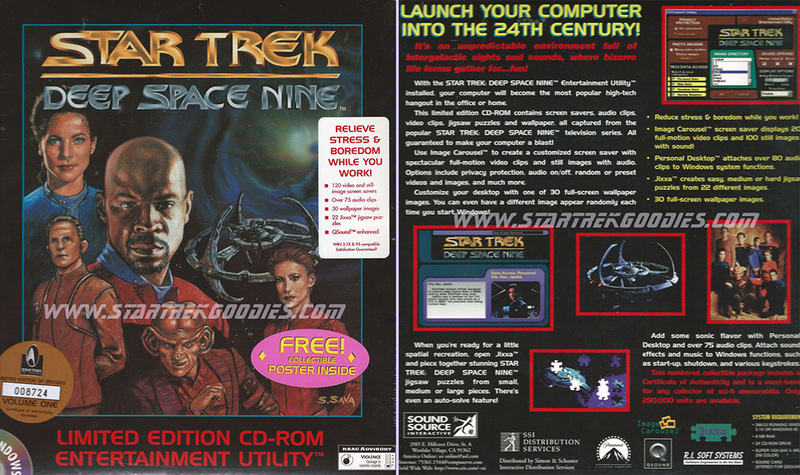 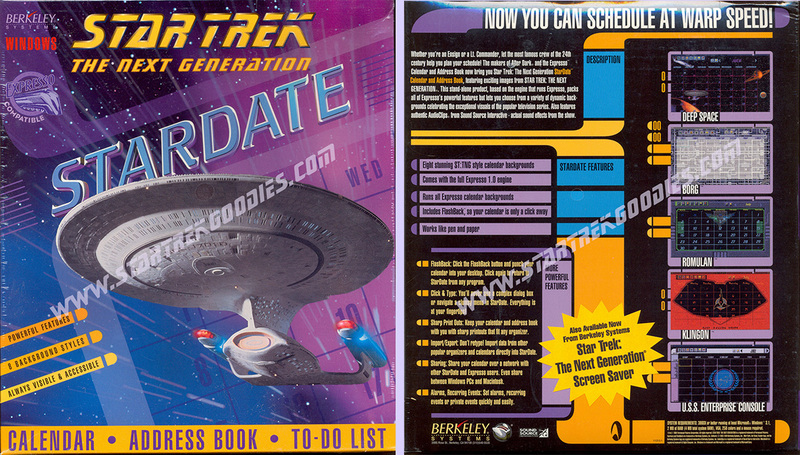 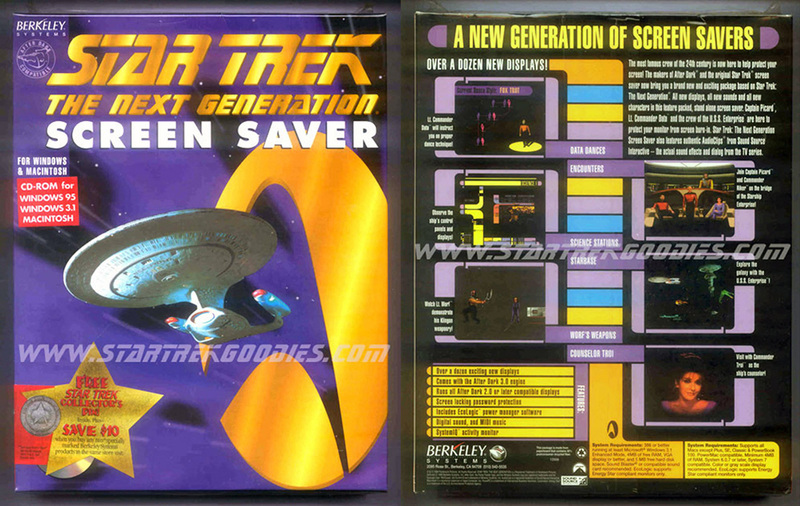 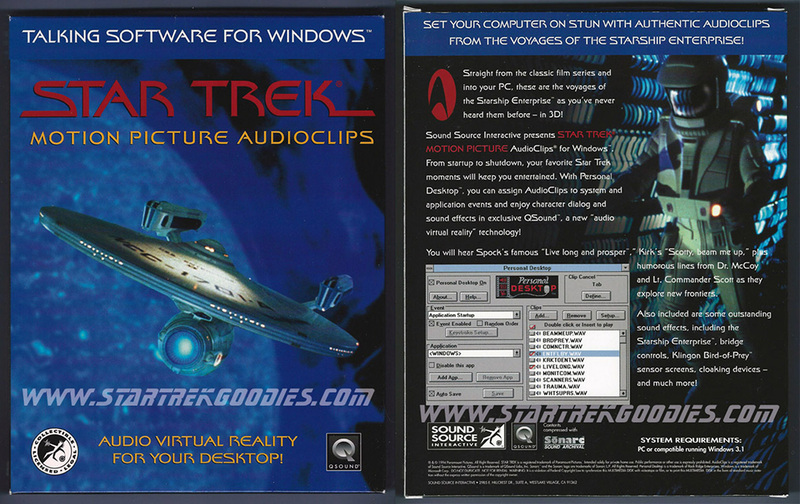 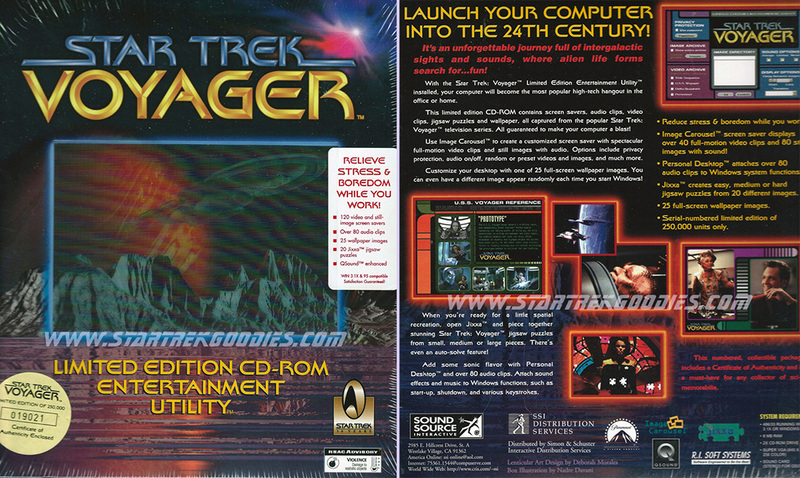 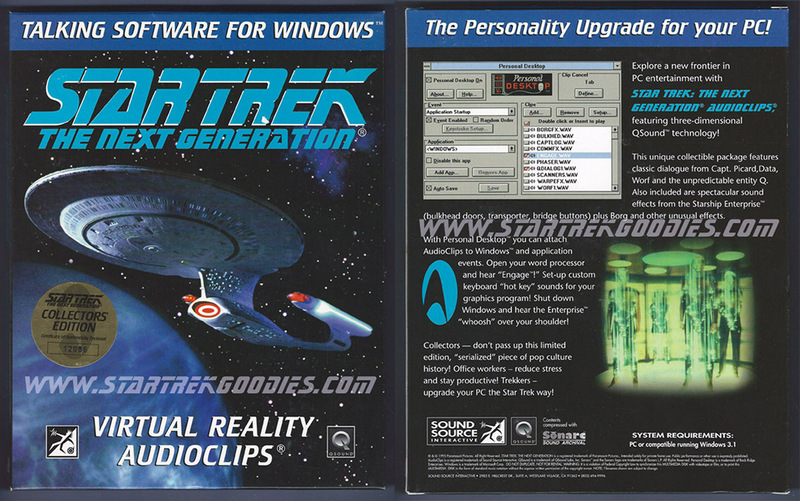 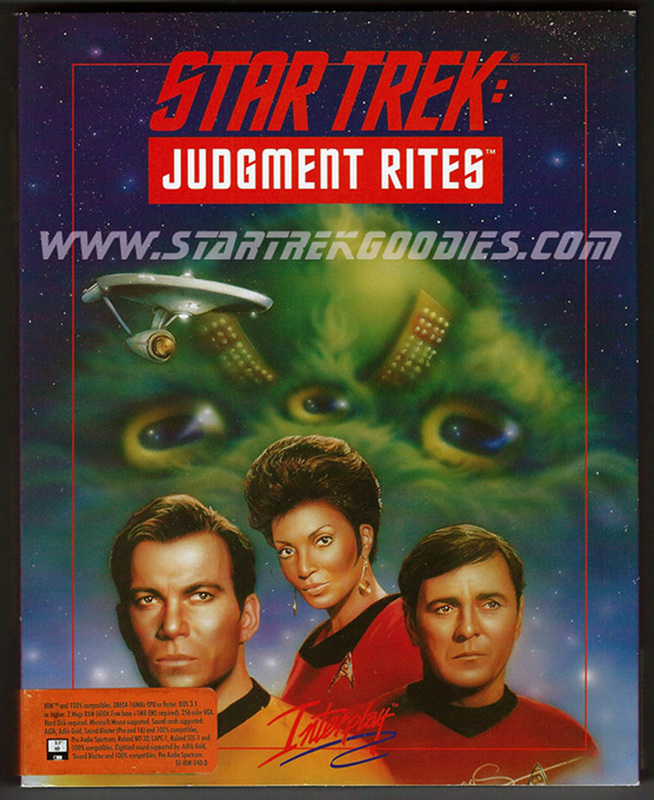 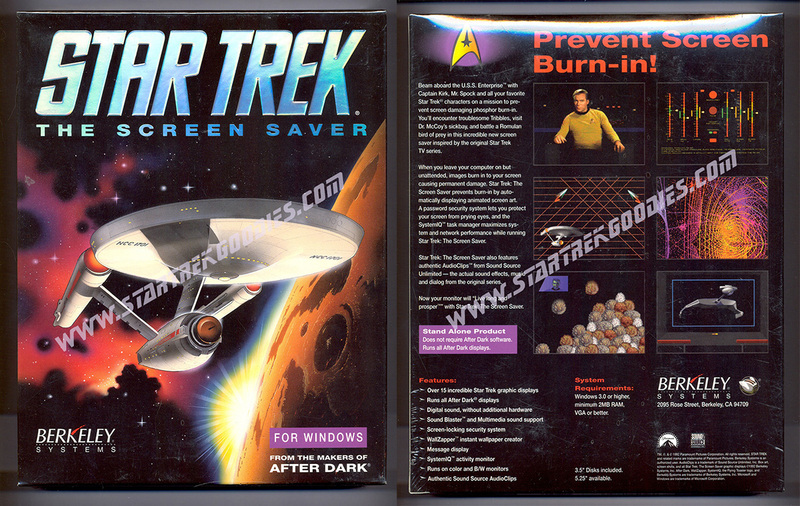 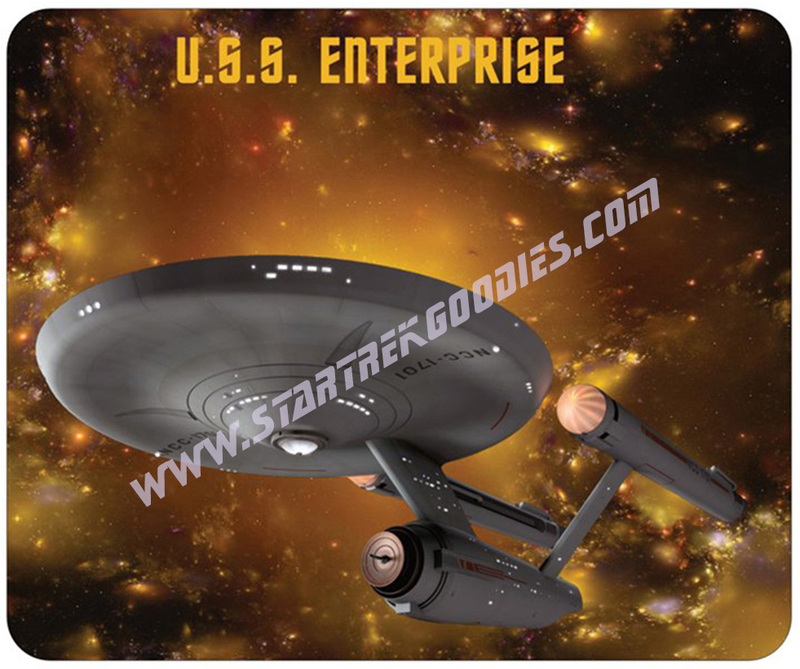 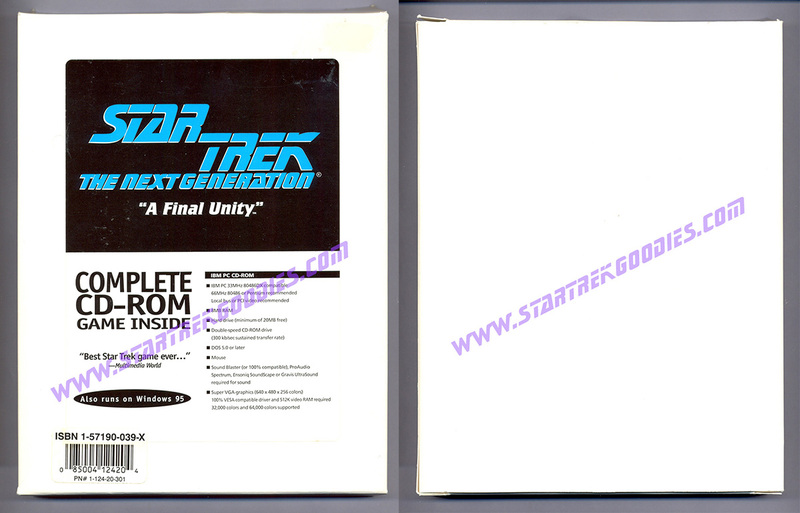 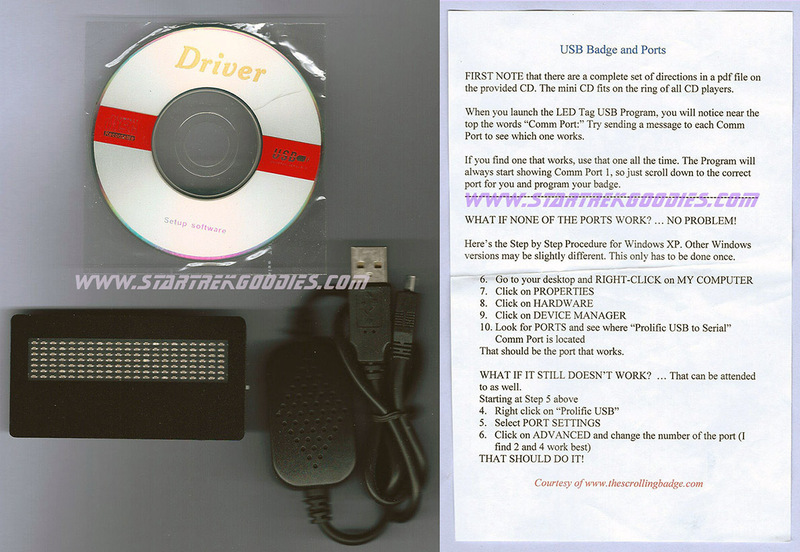 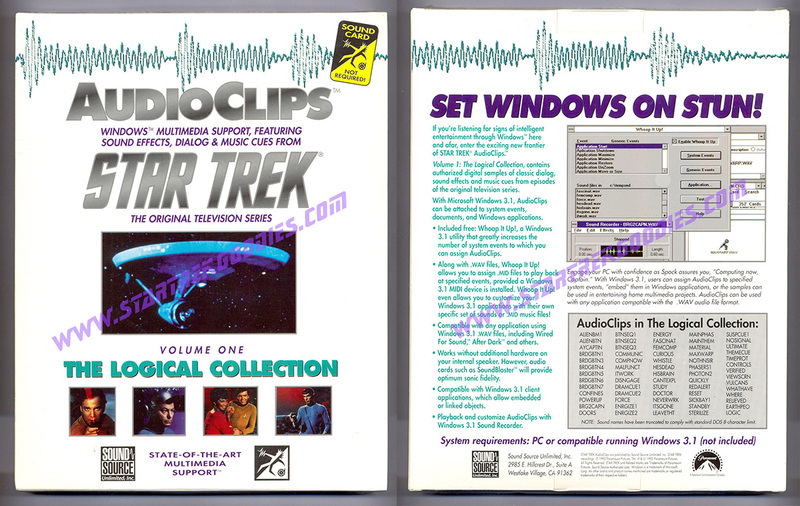 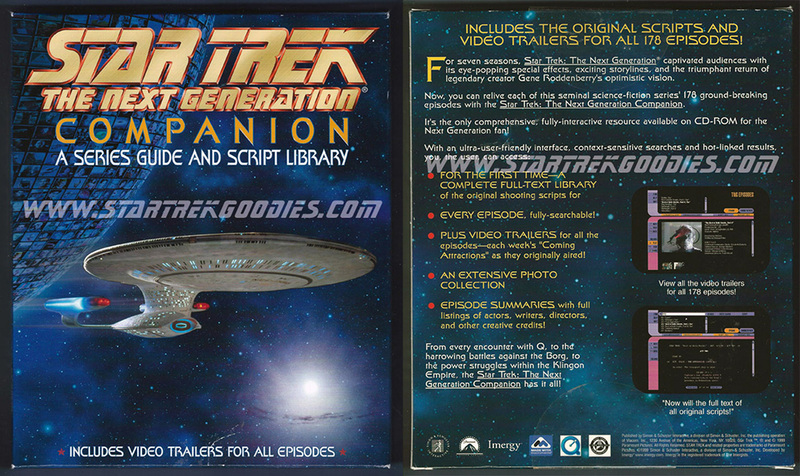 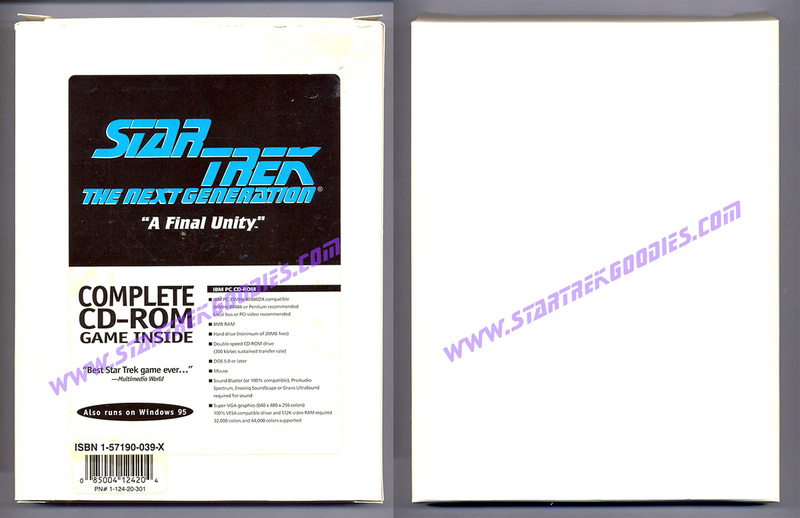 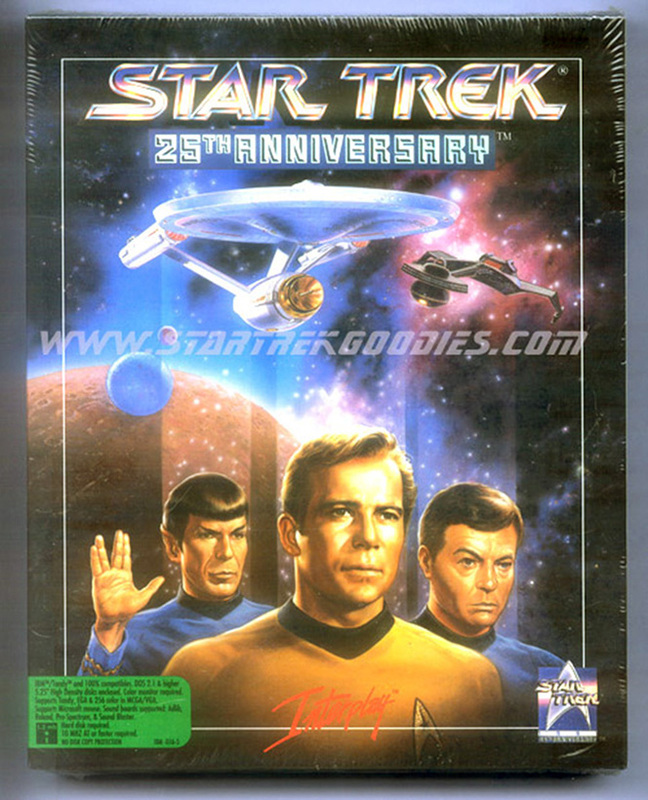 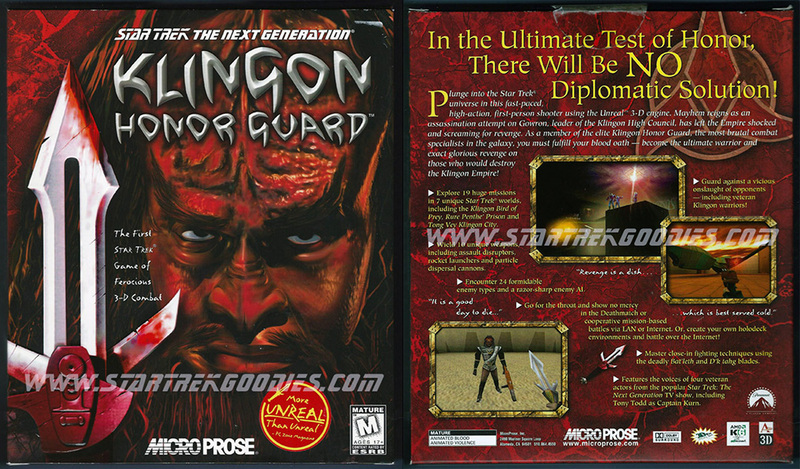 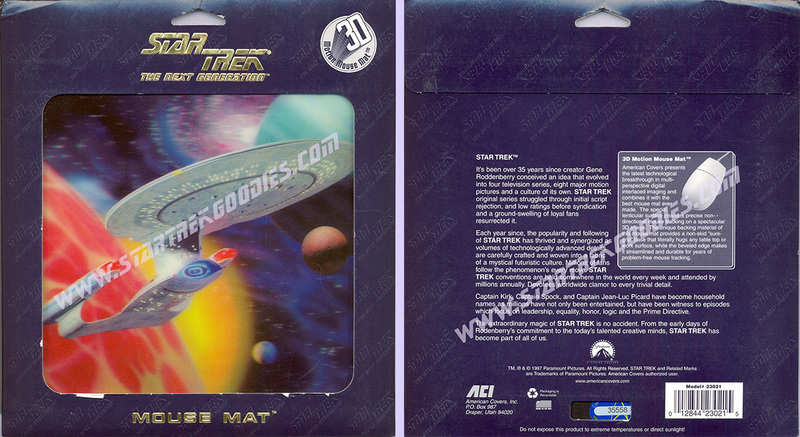 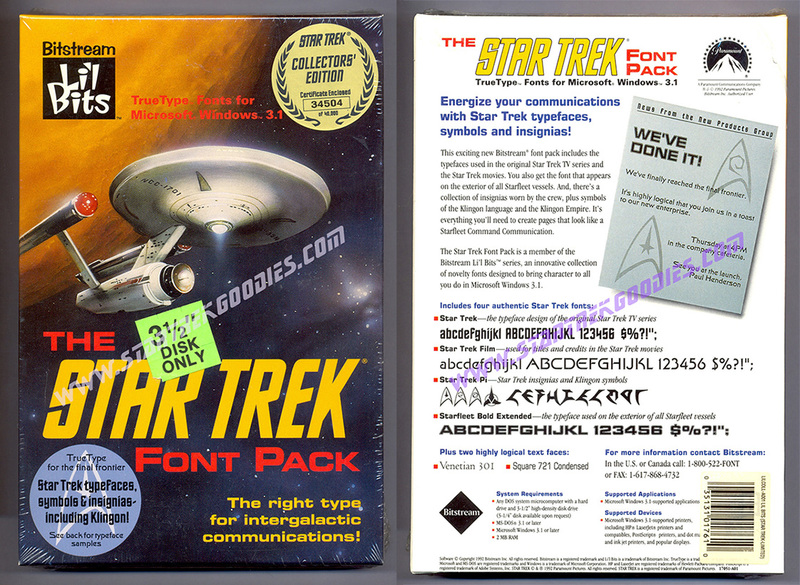 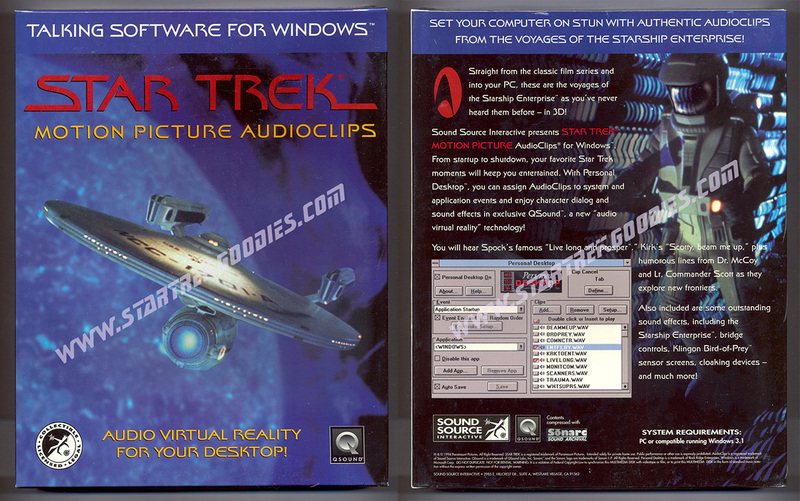 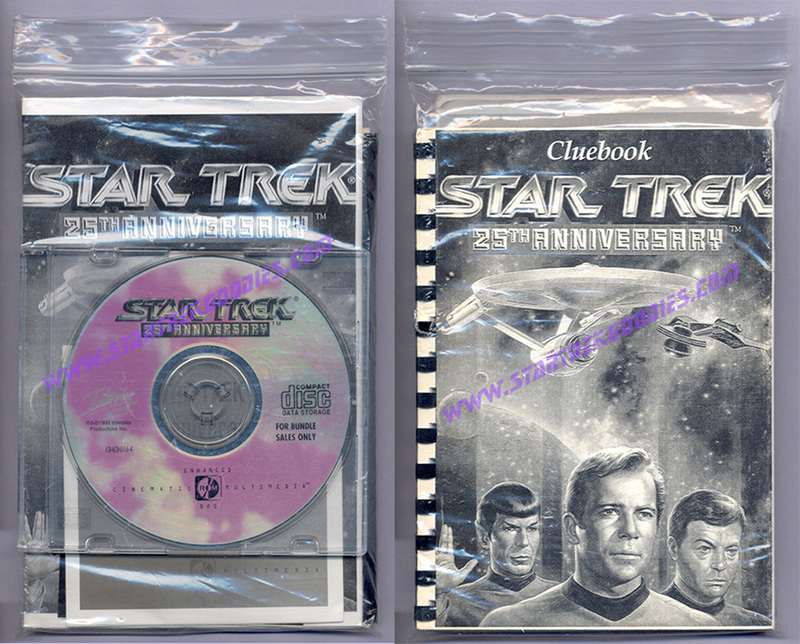 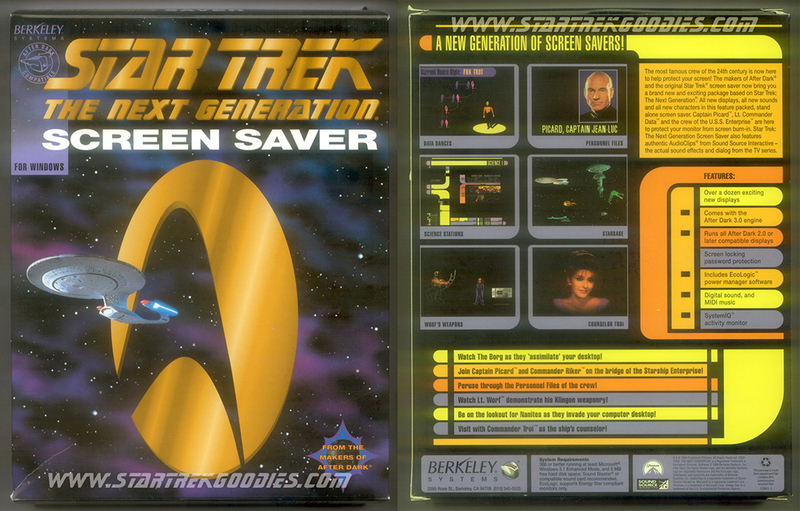 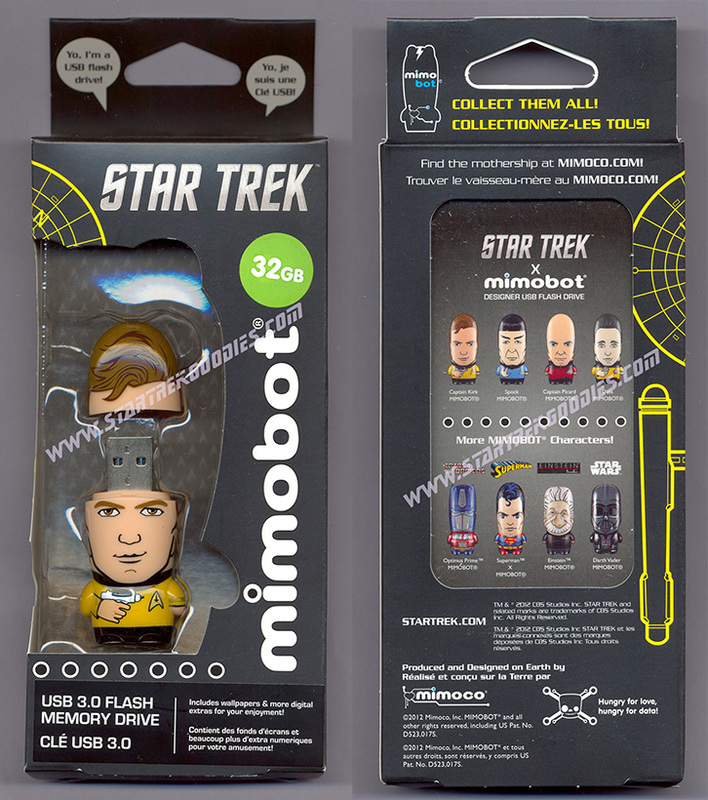 CS041 1995 - TOS, "Star Trek Omnipedia"
CS028 Personal Companion - 1993 TOS, "EGA Trek"
CS096 MicroProse - 1998 TNG, "Klingon Honor Guard"
CS078 Custom Made 2015 TOS, Enterprise 1701 on Orange/Blue, 9¼"x7¾"x¼"
CS081 Custom Made 2018 TOS, Enterprise 1701 with "USS ENTERPRISE" Above, on Starry Gold/Brown, 9¼"x7¾"x¼"
CS090 Custom Made 2016 TOS, Enterprise 1701 with "USS ENTERPRISE NCC-1701" Above, on Gold/Blue with Planets, 9¼"x7¾"x¼"
CS089 Custom Made 2016 TOS, Enterprise 1701 with "USS ENTERPRISE NCC-1701" Below, on Blue Starburst, 9¼"x7¾"x¼"
CS091 Custom Made 2016 TOS, Enterprise 1701 with "USS ENTERPRISE NCC-1701" Below, on Purple w/Comet Rays, 9¼"x7¾"x¼"
CS086 Custom Made 2015 TNG, Enterprise 1701-D Below "Star Trek The Next Generation" on Purple/Blue/Pink Swirls, 9¼"x7¾"x¼"
CS110 Custom Made 2018 DS9, Quark's Bar Logo on White, 9¼"x7¾"x¼"
CS083 Custom Made 2018 DS9, Space Station with U.S.S. 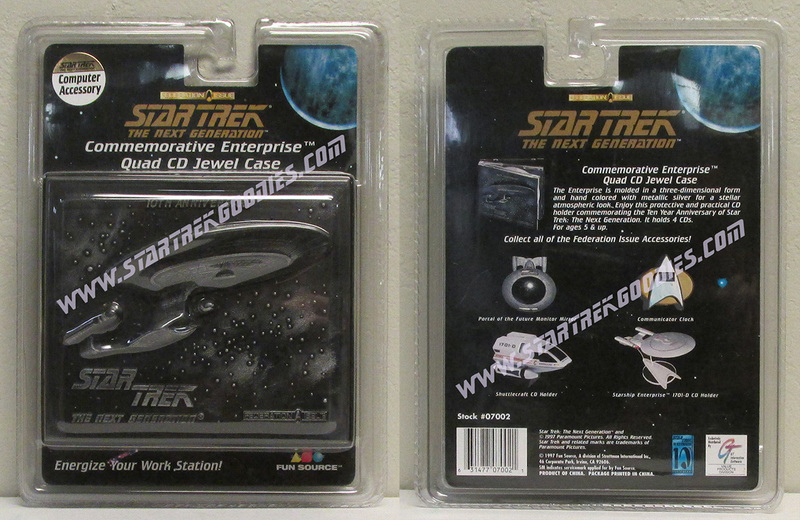 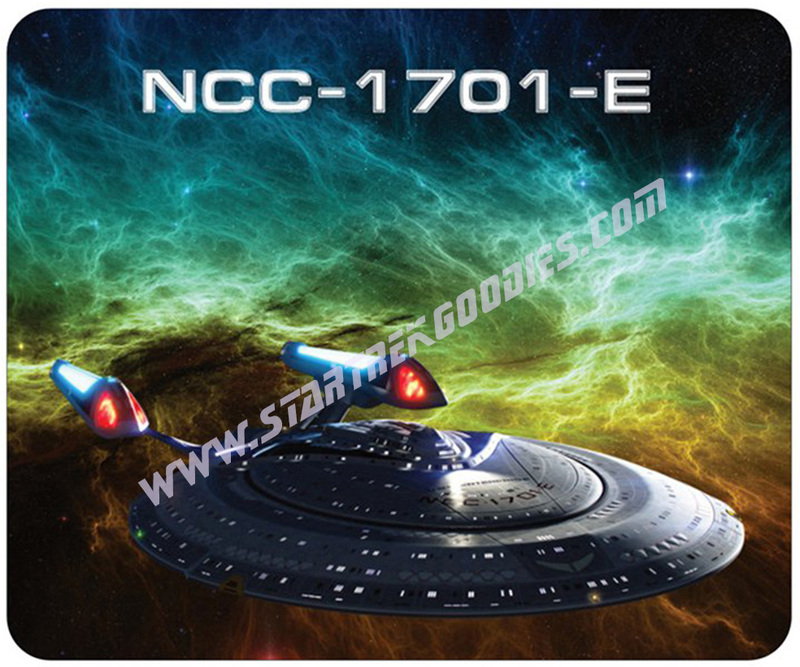 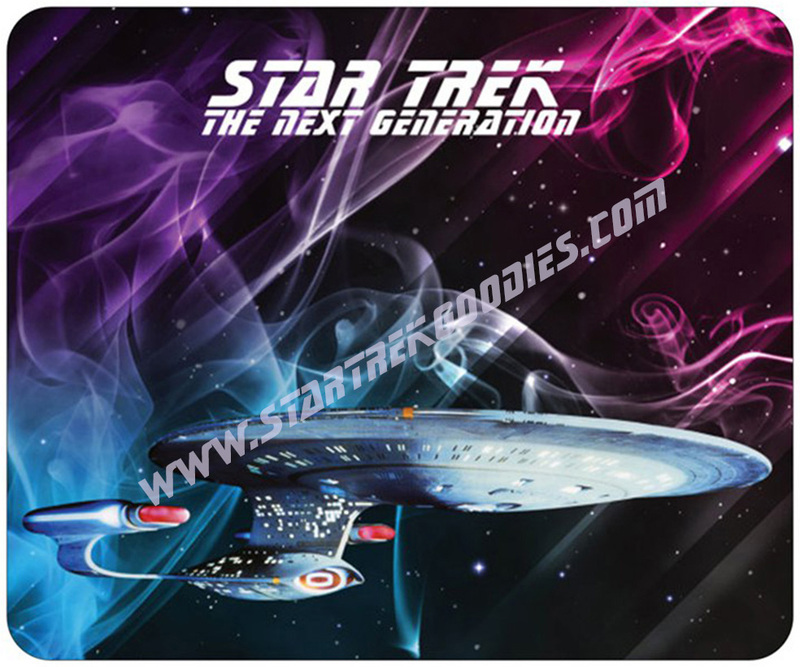 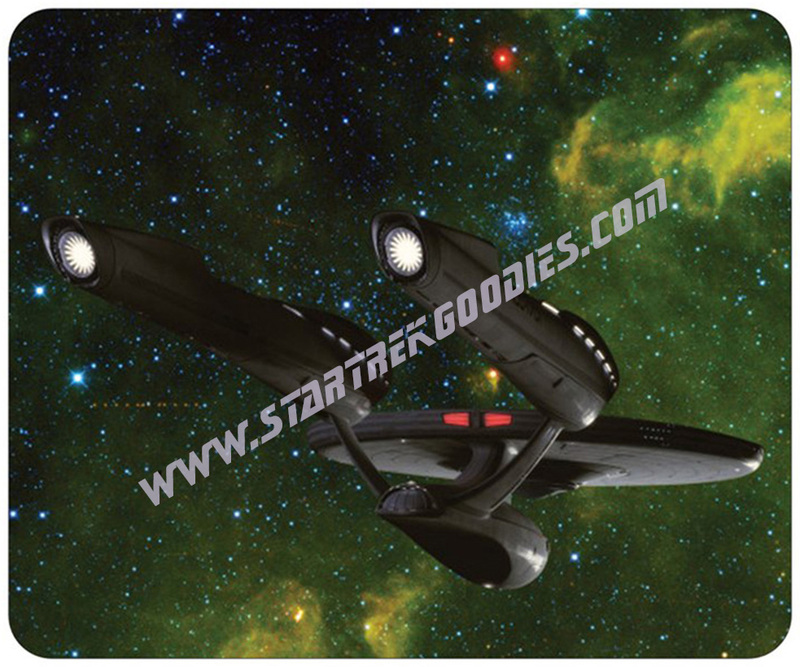 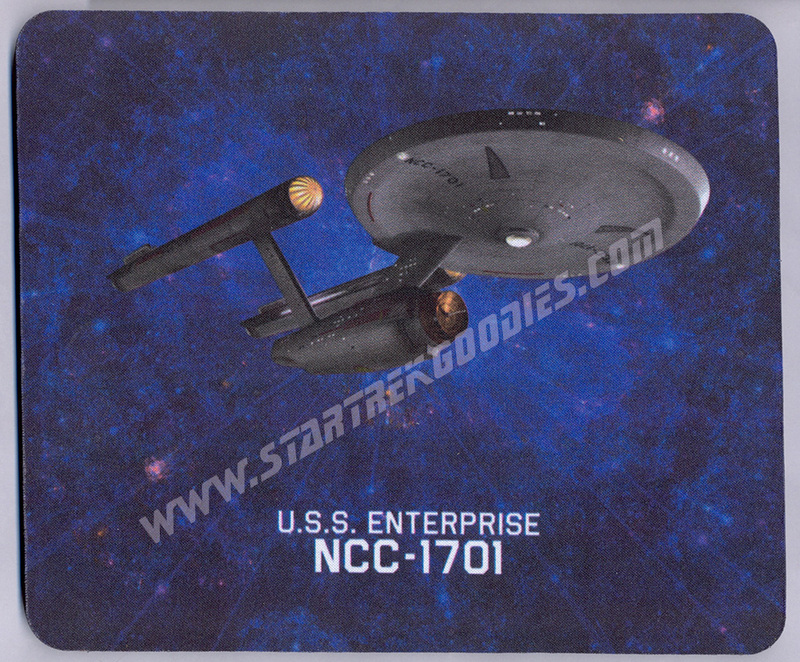 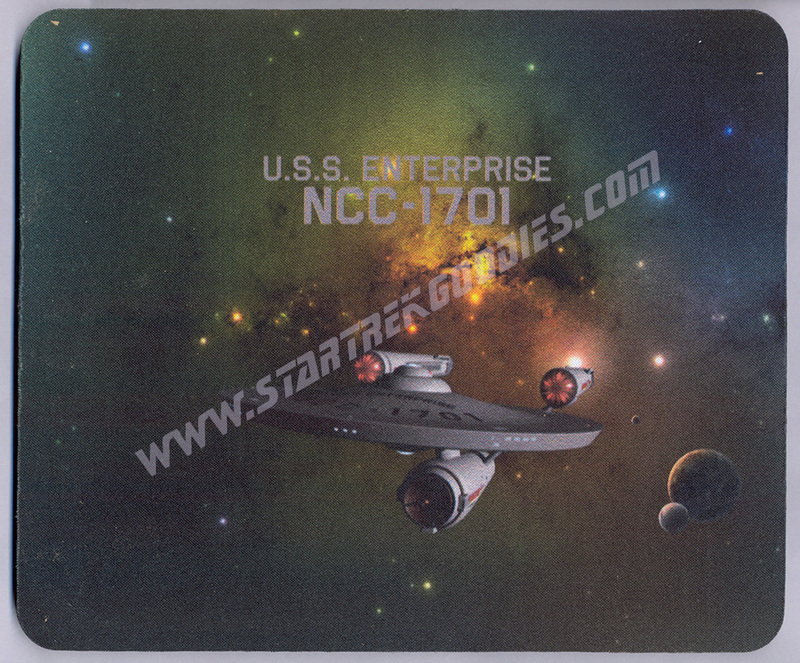 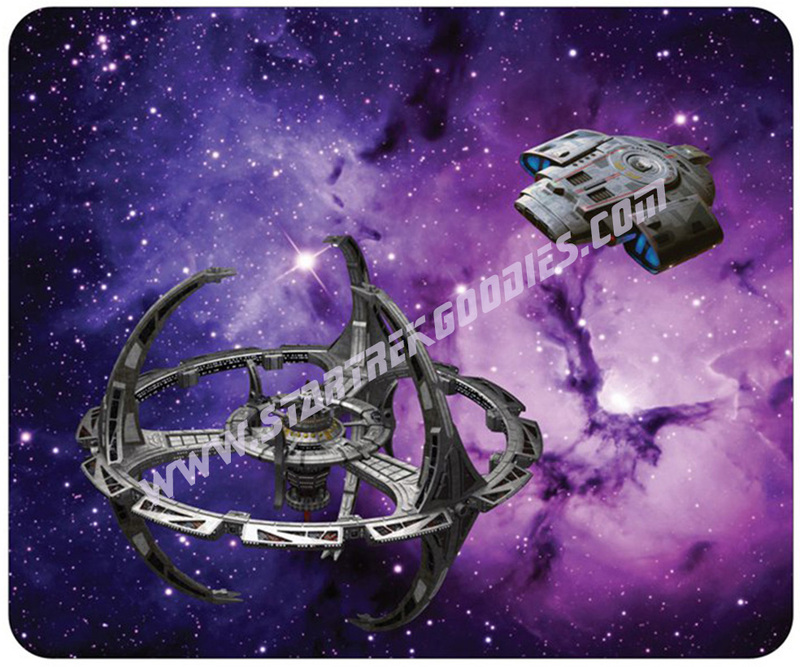 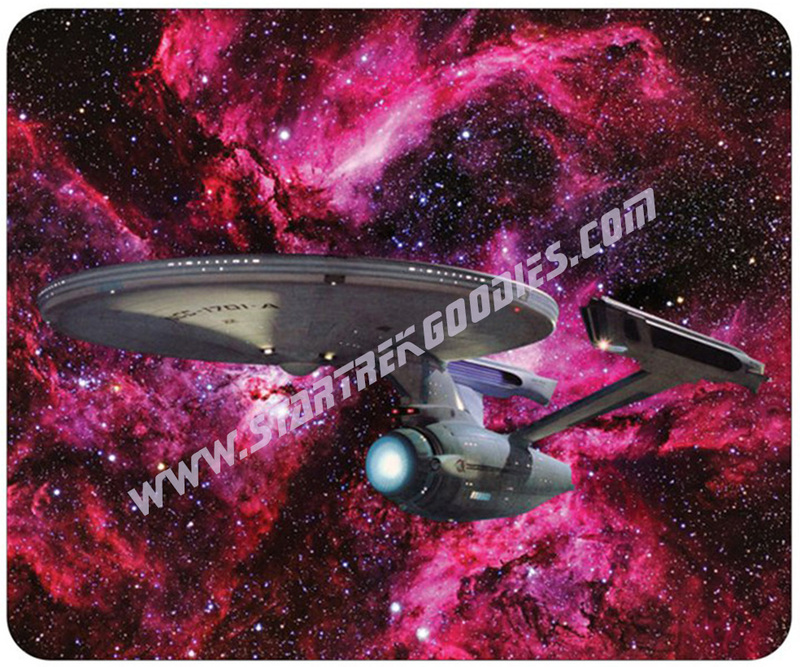 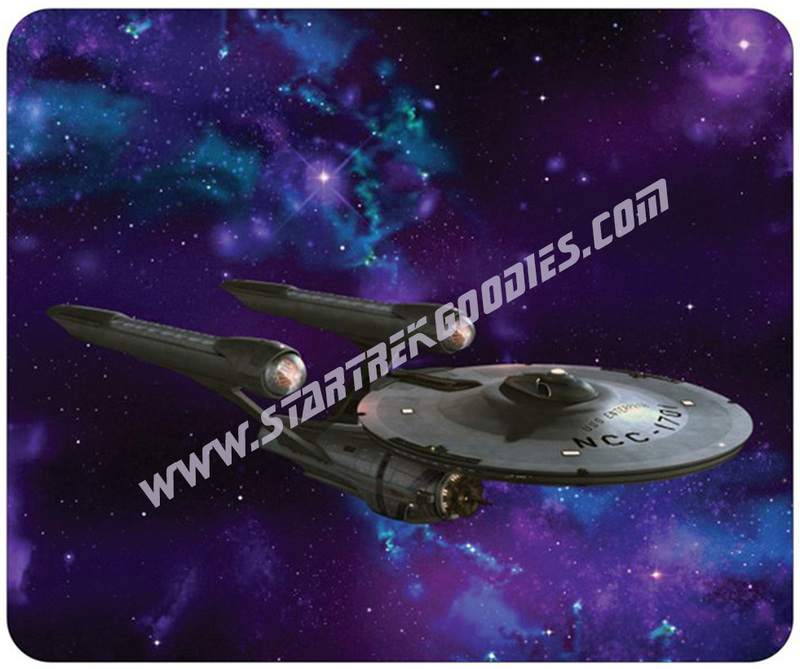 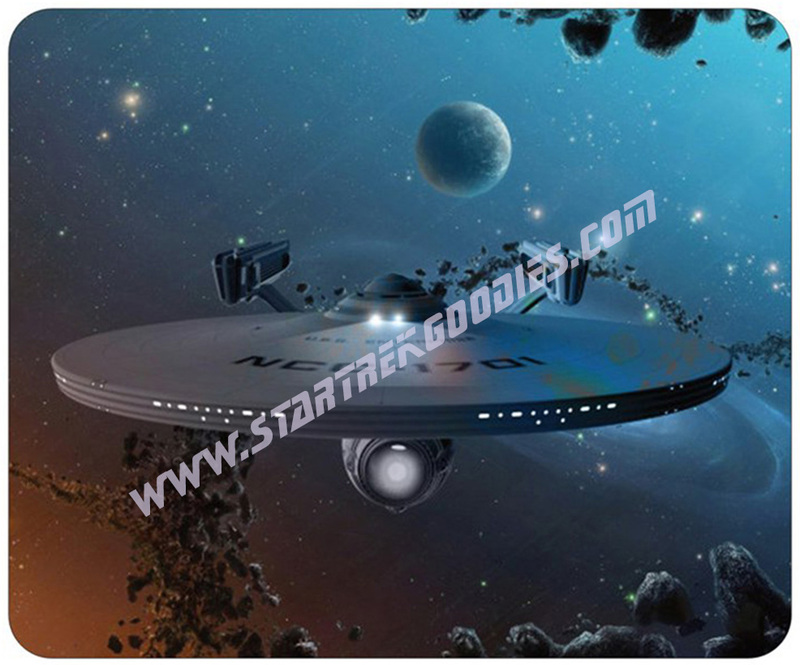 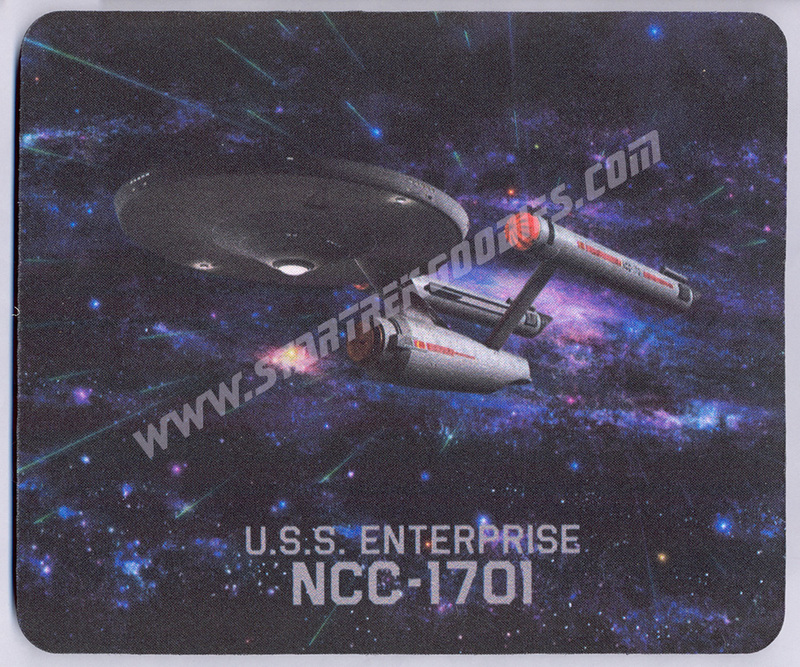 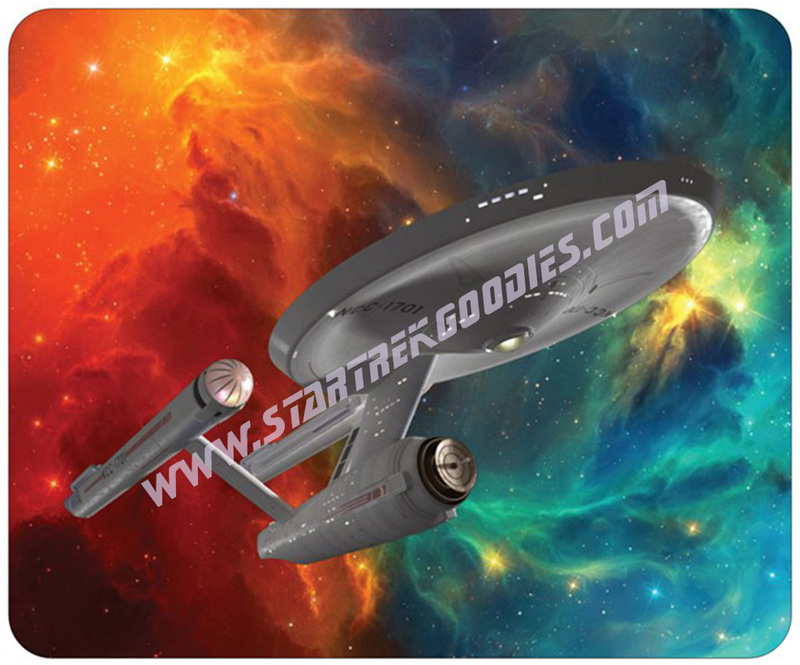 Defiant on Starry Blue/Purple, 9¼"x7¾"x¼"
CS080 Custom Made 2015 TMP, Enterprise 1701 Re-Fit on Blue/Brown, 9¼"x7¾"x¼"
CS079 Custom Made 2015 MOV, Enterprise 1701-A on Starry Pink, 9¼"x7¾"x¼"
CS085 Custom Made 2015 INS, Enterprise 1701-E with "NCC-1701-E" Above, on Blue/Green/Yellow/Brown Swirls, 9¼"x7¾"x¼"
CS084 Custom Made 2015 TNM, New Enterprise 1701 on Blue/Purple, 9¼"x7¾"x¼"
CS082 Custom Made 2015 TNM, New Enterprise 1701 on Green, 9¼"x7¾"x¼"
CS054 Preview - CD Magazine TNG, "Interactive Entertainment #8", Features "A Final Unity"
CS056 Screen Saver - Berkely 1992 TOS, "Star Trek: The Screen Saver"